Vince Vaughn said it best in Wedding Crashers. 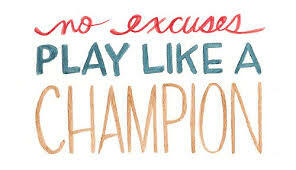 “No excuses, play like a champion.” The context of that quote relates to something a little different, but I think that quote pretty much sums it up when it comes to health and wellness. When it comes down to it, you can’t make excuses regarding your health and fitness. To be a champion, you have to decide to be honest with yourself and make daily changes to your lifestyle. 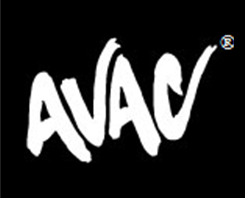 I have recently started doing AVAC’s AbsoluteFIT program. They incorporate all aspects of weight loss into a result’s-based approach to fitness. Incorporating the exercise component has not been a huge change for me. Exercising is something that I have always made time for. The hardest part for me has been facing the harsh reality of my nutrition. Let me tell you, if you think you know what proper serving sizes are, you might be sadly mistaken. For example, one serving of trail mix is only ¼ cup. 1 quarter cup! Not half of a bag as I had originally thought. . . .! AbsoluteFIT asks you to document what you are eating in whatever the easiest way is for you (a diary, an app, a picture log, etc.). Up until this point, I’ve been making every excuse in the book to not document my food. What I am quickly realizing is that by not being honest with myself, I am only slowing down my steps forward on my path to a healthier lifestyle. So, going forward, I vow to not make any more excuses and to only play like a champion! I wish you the best of luck in your journey to a healthier lifestyle and challenge you from this point forward to stop making excuses and start getting fit! If you need some direction, or someone to help make sure you aren’t making excuses, AbsoluteFIT is a great place to start! Good Luck!